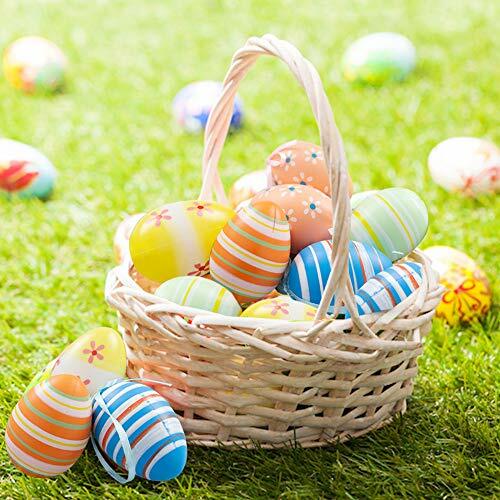 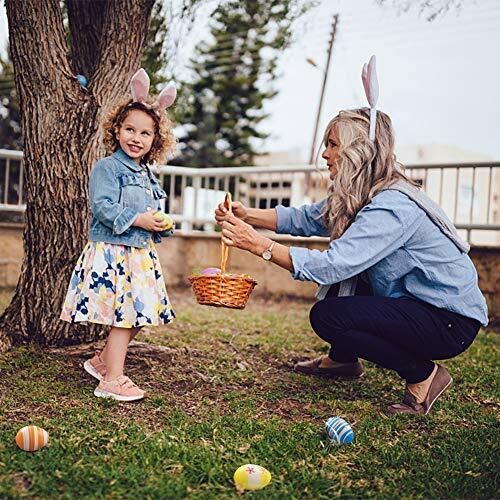 Package includes: 12 mini Easter ornaments with 6 different styless colorful and adorable. 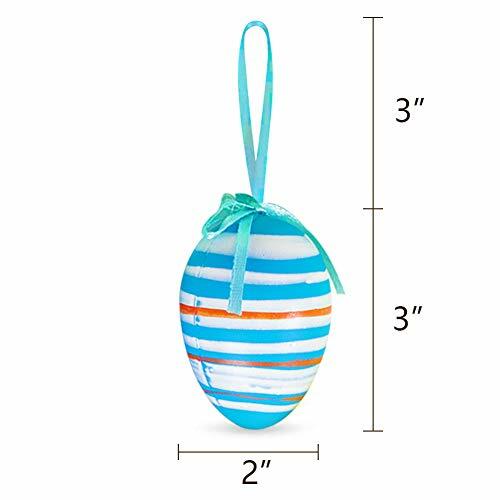 Egg size: 2"(diameter) x 3"(hight), there is a ribbon on the top of each egg that can hang on the tree. 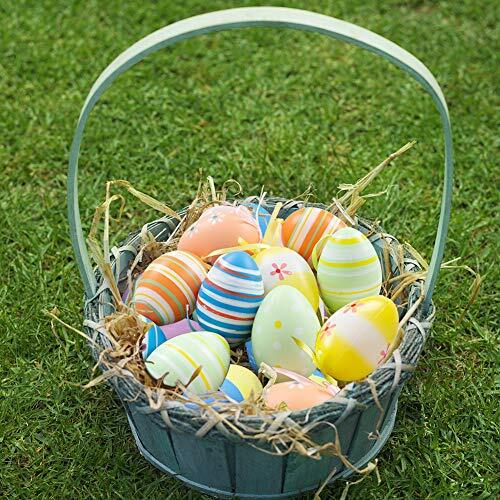 Made of high quality soft plastic which is safe and durable for longevity and repeated use. 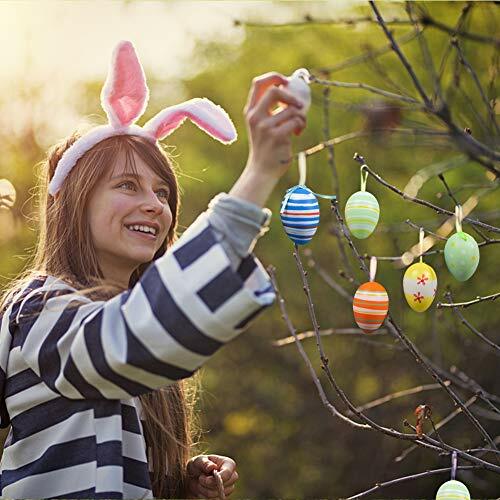 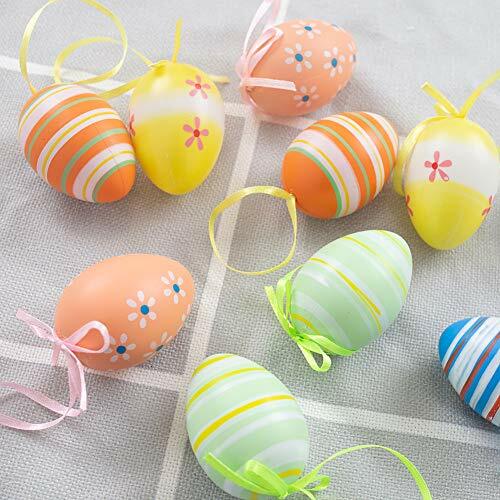 Each ornament is painted with a Easter style, add lively and festive touch indoor! Perfect to fill Easter baskets, hang on trees and decorate Easter party.